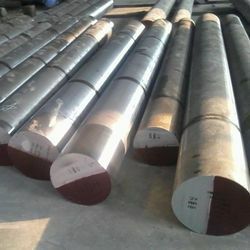 Our range of products include vascomax 350 cvm (maraging 350) bar, hastelloy c276 steel sheet, monel pipe 400, maraging 300 steel bar and zirconium bar 32. 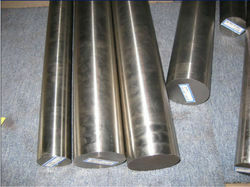 C-276 is a wrought corrosion-resistant alloy. 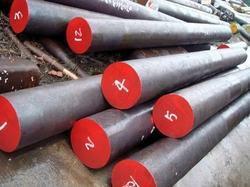 A prime advantage of this alloy is that it generally does not require solution heat treatment after welding. It resists the formation of grain boundary precipitates that would degrade corrosion resistance. Hastelloy C-276 is one of the most corrosion-resistant steels in the world. This powerful alloy goes beyond the benchmarks notched by its companion Hastelloy grades to include strong resistance across the board to oxidizers such as wet chlorine gas, hypochlorite, and chlorine dioxide. And with the legendary Hastelloy heat resistance, this alloy finds its way into a number of aerospace industrial applications. Hard to find alloys are no problem here. Whether you are looking for a foreign chemistry or an obsolete blend, All Metals & Forge can usually have it prepared, forged and finished for you far faster than anyone else in the industry. These days, a growing number of clients come here for custom alloys of their own devising–no problem for a team that has helped to create some of the most popular alloys in the business. Feel free to look around the site and familiarize yourself with the full sweep of products and service available here. You can always check the information resources for more data on any alloy, and handy tools help you zero in quickly on what you need. Chemical process equipment and desulfurization of flue gas equipment. Good machinability, although the alloy work hardens as is true of the nickel base alloys in general. Can be cold worked by all conventional methods. Weldable by all common methods except that excessive heat input should be avoided. Can be used in the “as-welded” condition without further heat treatment for most corrosive applications. Solution heat treatment is done at 2050 F followed by a rapid quench. The alloy is supplied in this condition. If hot forming or forging is done then the parts should be solution heat treated, if possible, before use. 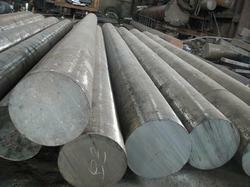 The alloy can be forged or hot-upset by conventional means. Can be hot formed or extruded. Should be solution heat treated following hot forming. Readily cold worked by conventional methods. Normally supplied and use in the solution treated condition, a 2050 F soak followed by rapid quench. Not normally done. 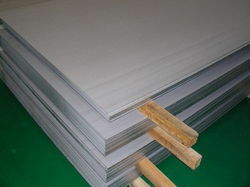 The alloy is used in solution treated condition. Hardened by cold working only. “U” notch impact strength at -320 F of 263 ft. lbs. in solution treated condition. This alloy of nickel-copper is resistant to sea water corrosion as well as to a variety of acids and other corrosive media. Marine fixtures, pumps, valves and piping systems for sea water application. Because of its good corrosion resistance it is also used in chemical plant equipment. Looking for Nickel Alloys ?